Free gifts to doctors translate into billions of extra revenue for drug-makers. Why Do Drug Reps Give Doctors Free Pens? Because what they get in return is far, far more valuable. It’s natural for the recipient of a gift to feel a sense of gratitude toward the giver and, very likely, a desire to return the favor. That a gift engenders a sense of obligation hasn’t been lost on the corporate sales forces of the world who shower prospective customers with promotional pens and tote bags and display an excessive enthusiasm for picking up the tabs at lunch or dinner. 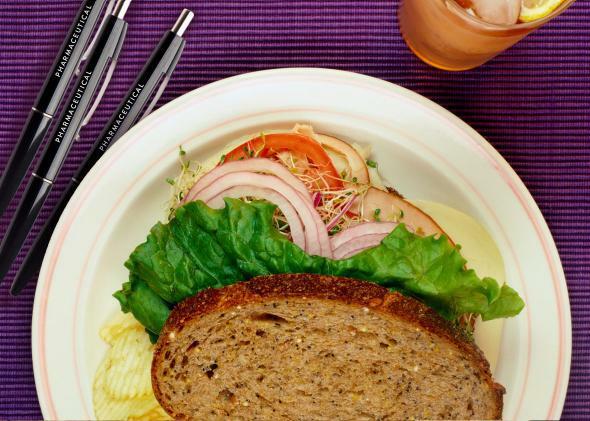 How much goodwill—and profits—do those pens and sandwiches actually buy? One stark and troubling indication comes in a study published Tuesday in the Journal of the American Medical Association, which shows that when academic medical centers placed limits on the gifts pharmaceutical sales reps could give doctors and the time they could spend with them, there was an immediate decline in the market share of the drugs they were pushing. The size of the effect, while modest in percentage terms, implies that the work of pharmaceutical sales reps—and the gifts they bear—translates into billions of dollars in extra revenues for drug companies. The topic of “gift exchange”—the underlying sense of obligation that accompanies a gift—has been studied by social scientists for almost a century. It was the focus of eminent sociologist Marcel Mauss’ 1925 classic, The Gift, a book that focused on the role of giving in creating obligations between individuals. Gift exchange looms large in essentially all human societies and even in some nonhuman ones. Mostly this is good thing—mutual back-scratching is essential to fostering cooperation, without which we’d still be living in caves, surviving on independently collected insects and berries. But every virtue can be distorted into a vice. The promotional gift—particularly when combined with the personal touch—can create an uncomfortable sense of obligation on the part of the recipient to “pay back” the giver. When the recipient bears the full cost of the payback, he might be willing to suffer some social discomfort from not reciprocating the favor rather than spend $1,000 on an encyclopedia or time-share rental he doesn’t really want. But exploiting gift exchange may be particularly problematic when the recipient isn’t the one paying for the goods. This is the case in the pharmaceutical context: When a salesperson gives the gift, the recipient isn’t the one who pays for the unneeded or needlessly expensive product—the cost is borne instead by the patient or his insurer. For this reason, over the past 15 years many academic medical centers have banned gifts and restricted the interactions between pharmaceutical sales representatives and physician prescribers. These are the rule changes analyzed by a research team led by economists Ian Larkin and George Loewenstein in Tuesday’s issue of JAMA. The study looks at prescribing behavior between 2006 and 2012 by physicians at 19 AMCs that implemented restrictions on pharmaceutical “detailing” at some point during those years. Crucially for the study, AMCs changed their detailing policies at different times over the seven-year period—Stanford University’s medical school, for example, put restrictions in place in October 2006, whereas Thomas Jefferson University’s medical college did so only in May 2011. This makes it possible to look for discrete changes in prescribing behavior that coincide with detailing policies and to distinguish the effects of these policies from other events that might impact the practice of medicine overall. The study further ensures that any changes in prescribing patterns can be attributed to detailing policies rather than other local changes by looking at the prescribing behavior of comparison groups of physicians practicing in the same area as each AMC who are selected to be similar to AMC physicians based on age, specialty, and past prescribing behavior but do not work at AMC-affiliated hospitals. The study looks at prescriptions for 262 drugs. Some of these—the “detailed” drugs—have dedicated sales forces attached to them. Others—either generic drugs or branded drugs without sales teams—do not. The authors find that when detailing restrictions were put in place, the market shares of detailed drugs fell by 1.67 percentage points on average, an effect that is very clearly timed to the introduction of the new policies. This may not sound like a big change, but when you consider that the drug classes covered by the study have annual sales of more than $60 billion, an increase of even a couple of percentage points in sales looks like a pretty good return on the cost of some pens and lunches (even if delivered by well-compensated sales reps). The introduction of detailing restrictions also corresponded to an increased market share of nondetailed drugs—often low-priced generics that place less financial burden on patients and their insurers. Larkin and Loewenstein, in an opinion piece accompanying their research paper, suggest that the pharma-doctor relationship is connected to a deeper set of problems in the way medicine is practiced in the U.S. today. Physicians are paid on a fee-for-service system in which the more eye exams, hip replacements, and MRIs they perform, the more they—and the hospitals employing them—get paid. The pens and lunches, therefore, are far from the most serious conflict of interest that distorts how doctors choose to treat their patients. The authors suggest that health care providers adopt the approach taken by, among others, the Mayo Clinic, the Cleveland Clinic, and California’s Kaiser group, which pay their doctors straight salaries. In a system freed of conflicts, you don’t need to worry about whether a drug is recommended because a fresh-faced young sales rep treated your doctor to lunch or because it will actually confer a benefit over and above a cheaper generic. And you can be sure that when your doctor suggests a knee replacement, it’s because it’s good for your health, not because he is profiting, potentially at your expense.